The first race in the South Wales summer fell series saw 4 Croft members travel to Llanbedr for the classic run of 3 miles with 1500 feet of climb up Pen Calch Cerrig. Weather conditions were near perfect as were conditions underfoot, providing you managed to avoid the almost bottomless bog which several runners failed to do! Of the Croft contingent Tim Jones finished 50th in 44.53 beating Steve Herrington by just 2 seconds, Steve was first over 70 beating Gary Gunner into 2nd place in the category. Gary finished in 54th place in 47.42 beating Flora by just 7 seconds after their customary battle with Flora leading up the hill then Gary pulling out all the stops to overtake just before the finishing line. TomD finished 58th in 53.17. Mark Hopkinson of Mynydd Du won in the very fast time of 27.57, Helen Brown, also of Mynydd Du and race organiser, was 1st lady in 34.54. There were 63 finishers. 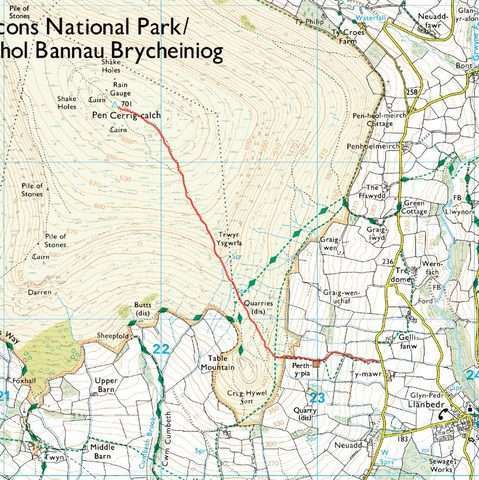 The next race in the series is the Longtown – Llanthony loop on 13th April.